Do you want to know what most entrepreneurs want? Financial abundance, time freedom, and location independence. My empirical research comes from working primarily with women, in one of two main demographics — either between the ages of 25 and 35 or 55 and older. It seems to make no difference whether they are a young 20ish upstart or an elder Johnny-come- lately, these entrepreneurs are all looking for not only business success, but to achieve very specific and significant lifestyle goals. How can I make plenty of money to spend how I desire? How can I create a day-to-day schedule of my own choosing? How can I find a way to work from anywhere? I recently flew to Maui to attend a pop-up workshop for young women, hosted by Create & Cultivate, in partnership with the Marriott Hotels. The room was filled with women entrepreneurs, bloggers and dreamers primarily in their 20’s and 30’s looking for the answers to these questions. The series of panelists were freelancers and self-starters that were asked to give their secrets to success and everyone listened intently trying to figure out how they could make success happen for them too. The Marriott property in Maui was a perfect venue, aesthetically speaking, to get the creative juices flowing. Marriott Hotels host events periodically to surprise and inspire guest’s creativity and to fuel their guest’s ingenuity. The renovated Marriott Wailea Resort is a destination spot that can make anyone believe that traveling expands the mind. The close proximity to the ocean, the infinite view, the sound of the waves and that fresh ocean breeze is an atmosphere that goes right to the heart of any freedom seeker and makes you believe anything is possible. 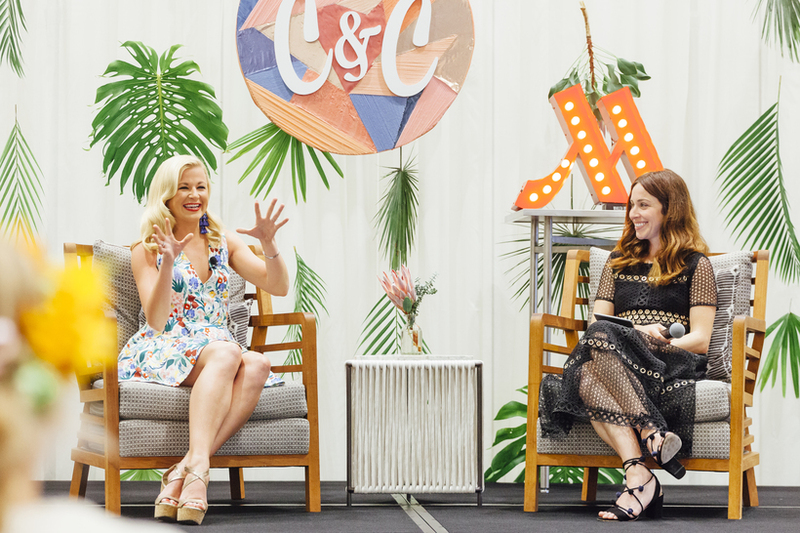 And the women that showed up on a Saturday afternoon for the event took full advantage of the inspiring setting to ask their burning questions, connect with like-minded souls, and discover how to shift their own lives and businesses. But we all know that the lifestyle of an entrepreneur is not really aligned with the kind of freedom imagined in that dream life. It was worrisome to hear that not one of the dozen or so panelists from a wide spectrum of businesses (including; bathing suit designers, travel photographers, fashion and lifestyle bloggers, authors, actors, online business owners) could recall the last day they took one day off. Not one raised their hand when asked if they ever take a vacation unrelated to their work and all of them confessed to co-mingling family and work in a mix of complicated arrangements including hiring partners and spouses when their list of tasks got too overwhelming. The reality is that the life of an entrepreneur also comes with a big price. The desire for making lots of money requires long hours and lots of dogged determination. That freedom from a 9-5 job means that instead you’re on 24/7 as you grow your dream into a reality, and location independence means that because you can work from anywhere you start working from everywhere. The upside is that you’re your own boss and you get to make the choice to stay up all night working on your passion project. You get to determine your own destiny and discover your potential in a way that cannot easily be duplicated when working for others. A commitment and belief in a uniquely crafted vision, fueled by your passion, is an unstoppable combination. It’s what brought a room full of young women out on a weekend to recharge their battery. For those of us who cherish our rebellious and independent nature, embarking on our own entrepreneurial journey just feels right. Even if it means mixing business with pleasure and taking our family along for the ride with us. Hopefully it will be a joyous and memorable one for them too. Now I’m searching for another workshop that focuses on how to inspire women to nuture some work-life balance!